of a car with blockchain technology. e develop a decentralized blockchain-based cardossier platform which stores all relevant information about a car’s history in a secure and reliable manner. The information on events in a car’s history is collected from organizations involved in car-related processes (e.g. an importer, an insurance company, a garage, etc.). he cardossier platform is run by a consortium of organizations which aims to bring transparency and trust to the car-related ecosystem. We believe that only altogether in the consortium we can reach our goal. Companies that are part of the consortium can profit from process optimizations and create business value through the data access on the cardossier platform. he cardossier creates a truly transparent data market, where data owners get full control over their data: The identity (person or organization) that owns the data rights is in control of who, when, and why someone may access it, and will receive compensation for data provision. Whoever receives data should pay a fee for it. This timeline describes our project activities and development goals. We started our journey in October 2016, inspired by the idea of solving trust issues with a new fascinating technology. We asked ourselves: “Whom do we trust the least?” This question clearly brought us to the used car market case. 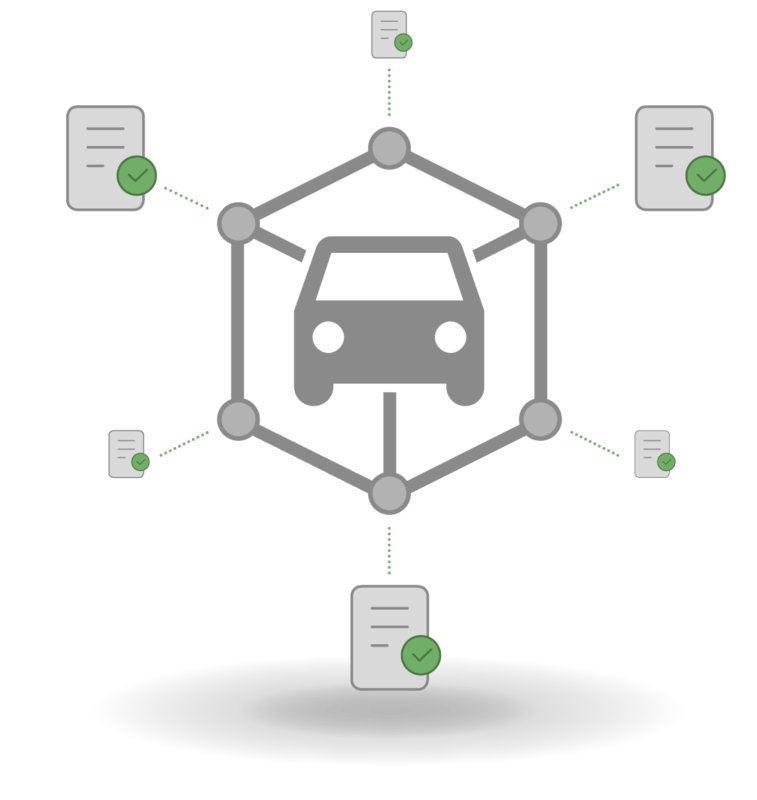 Later, we realized that the potential of the blockchain-based cardossier is not limited to the used cars market itself, but brings value for individuals and businesses in the entire automotive ecosystem. We started our journey in October 2016, inspired by the idea of solving trust issues with a new fascinating technology. We asked ourselves: “Who do you trust least?”. This question clearly brought us to the used car market case. 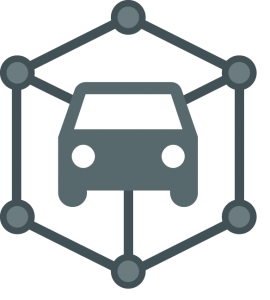 Later, we realised that potential of the blockchain-based cardossier is not limited to the used car market itself, but brings value for individuals and businesses in the automobile ecosystem. In Zusammenarbeit mit der Universität Zürich, der Hochschule Luzern – Informatik, AMAG, AXA, Mobility und dem Strassenverkehrsamt Aargau entwickelt AdNovum ein digitales Dossier auf Blockchain-Basis, in dem die gesamte Historie eines Fahrzeugs gespeichert werden kann. Read more..
Was bringt die Blockchain der Autoindustrie? Schweizer Unternehmen, Bildungsinstitutionen und ein Strassenverkehrsamt kooperieren, um das herauszufinden. Der Bund unterstützt das Projekt finanziell. Read more..
Jedes zweite Unternehmen befasst sich mit Blockchain. Wie die neue Technologie Ehrlichkeit erzwingt und den Papierkrieg reduziert, zeigen Beispiele aus der Praxis. Read more..
Zürich – AdNovum entwickelt in Zusammenarbeit mit der Universität Zürich, der Hochschule Luzern – Informatik, AMAG, AXA, Mobility und dem Strassenverkehrsamt Aargau ein digitales Dossier auf Blockchain-Basis. Read more.. Die Zürcher Softwarefirma AdNovum entwickelt gemeinsam mit dem Strassenverkehrsamt Aargau, Universitäten sowie Unternehmen wie Mobility ein digitales Dossier auf Blockchain-Basis. Dieses soll den gesamten Lebenszyklus eines Fahrzeuges speichern. Read more.. In der Schweiz sind rund 4,5 Millionen Personenwagen zugelassen. Davon werden jedes Jahr etwa 800'000 als Gebrauchtwagen verkauft. Das heisst, jedes Jahr haben 800 000 Personen potenziell ein ungutes Gefühl, weil sie sich fragen, ob der Kilometerstand ihres Fahrzeugs stimmt und ob es tatsächlich unfallfrei ist. Read more..
Schweizer Firmen, Universitäten und Behörden haben den Verein «Cardossier» gegründet. Ziel des Vereins ist es einen digitalen Lebenslauf eines Autos auf einer Blockchain abzubilden: Vom ersten Kilometer bis zum Schrottplatz. Read more..
Aus einem breit abgestützten Forschungsprojekt wird ein Non-Profit-Verein und auto-i-dat ag ist als Gründungsmitglied und Datenlieferantin mit dabei: cardossier will den Lebenszyklus jedes einzelnen Fahrzeugs digital abbilden und damit Sicherheit und Transparenz für alle Marktteilnehmer fördern. Read more..
cardossier.ch: Blockchain für die Schweizer Automobilbranche – Projekt gründet Verein. Read more..
Der neu gegründete Verein Cardossier will sämtliche Informationen aus dem Lebenszyklus eines Fahrzeugs auf der Blockchain abbilden. Read more..
Am Auto-Salon verkündeten namhafte Schweizer Unternehmen, Universitäten und Behörden die Gründung des Vereins Cardossier – ein Projekt, das den Umgang mit Fahrzeugdaten auf ein neues Niveau heben will. Read more.. I hereby consent to cardossier collecting my details through this form.